About 200 people gathered in a subterranean auditorium on the University of Tokyo’s Hongo campus earlier this month to hear from one of the world’s most well-known fugitives. 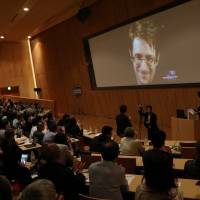 Edward Snowden spoke via video linkup from Russia, where he was granted asylum after revealing the U.S. National Security Agency’s controversial mass surveillance programs three years ago. Snowden declined to answer that question himself, saying he had entrusted a group of journalists with the job of releasing newsworthy information from the trove of classified data he leaked. But he added that, from his experiences working at U.S. intelligence facilities in Japan and the United States, there is at the very least a high degree of information-sharing between the two sides. 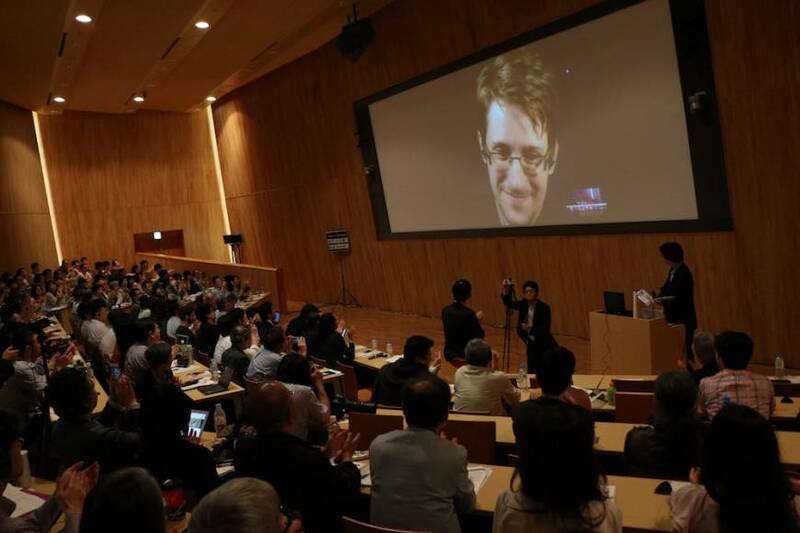 Other speakers at the event, which took place on June 4, had their own insights into Snowden’s question. They included Daisuke Igeta, a lawyer who helped challenge the legality of blanket police profiling of Japan’s Islamic population. The lawsuit centered on a leak of 114 police files six years ago that revealed police had collected information about tens of thousands of Muslims across the country — their names, photos, home and work addresses, their relationships, the mosque they attend — in the lead-up to the 2008 G-8 summit in Hokkaido. Igeta and a team of lawyers argued that police had violated their clients’ constitutionally protected rights to privacy, equal treatment and religious freedom. The Tokyo District Court ruled in January 2014 that the 17 Muslim plaintiffs were entitled to ¥90 million in compensation because the data leak violated their privacy. It said the police’s gathering of information on the plaintiffs was “necessary and inevitable” to protect the public from international terrorism, but declined to rule on the allegations of blanket profiling. After appeals at the district and high court levels, the Supreme Court dismissed the lawsuit on May 31. The justices agreed with the lower court rulings that the 17 Muslim plaintiffs were entitled to ¥90 million in compensation for the data leak, but they again sidestepped the question of broader police profiling and surveillance. The plaintiffs were from Algeria, Iran, Tunisia and Morocco, as well as Japan. One of them told The Japan Times that he first noticed he was being followed by law enforcement in the early 2000s. He said he was happy to cooperate with the officers whenever they contacted him. Then one day, they asked that he report on other members of his mosque, and he refused. “We finally concluded that the legal governance of this country is not independent,” said the plaintiff, who asked that his name be withheld to avoid further harm to his reputation, which was severely damaged after he was identified as a potential terrorist in the 2010 leak. “It’s completely affected by the politics. It’s obvious that the government wants surveillance towards everyone. The surveillance continues to this day, he said, including with plainclothes police stationed outside his local mosque every Friday. Both the Metropolitan Police Department and the National Police Agency declined to comment on the Supreme Court case or the allegations of indiscriminate profiling and surveillance of Muslims. The police have made few statements about the lawsuit. A representative from the National Police Agency said at a 2014 human rights committee hearing on the matter at the United Nations that they couldn’t provide details on counterterrorism “information-gathering activities,” but that police were following the letter of the law. Others have defended the discriminatory surveillance measures. 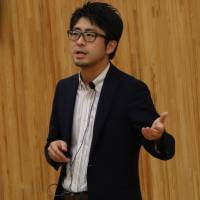 Naofumi Miyasaka, a professor at the National Defense Academy of Japan, described the data leak as a major failure in the country’s counterterrorism efforts because it disrupted the network of trusted informants the police had been relying on. The legal saga unfolded as two similar court challenges played out in the United States. They came about after The Associated Press revealed in 2011 that the New York Police Department had also been surveilling Muslim communities in and around New York City and New Jersey. The NYPD dissolved the controversial surveillance program in 2014 but the court proceedings rolled on. One of the lawsuits is still before the courts. Among those to offer support to the plaintiffs in that case is a group of descendants of Japanese-Americans who were sent to internment camps on U.S. soil in the 1940s. “The treatment of the Muslim community by the Department has parallels to the treatment of Japanese-Americans by the federal government during World War II,” they said in an amicus brief. A settlement was reached in the other NYPD case in January. Under the deal, the police agreed to “new safeguards to protect against bias-based and unjustified investigations of Muslim and other minority communities,” as the American Civil Liberties Union put it. One of the many pieces of information about the secretive police program that came to light during the course of the court proceedings was that, in six years of spying on Muslim neighborhoods, NYPD detectives had produced no leads. Igeta claims that U.S. authorities helped set up Japan’s own Muslim surveillance program. He and the other lawyers representing the 17 Muslim plaintiffs planned to translate and submit documents from the U.S. lawsuits to the Supreme Court to bolster their case, but the decision to throw out the case came down months earlier than they expected. 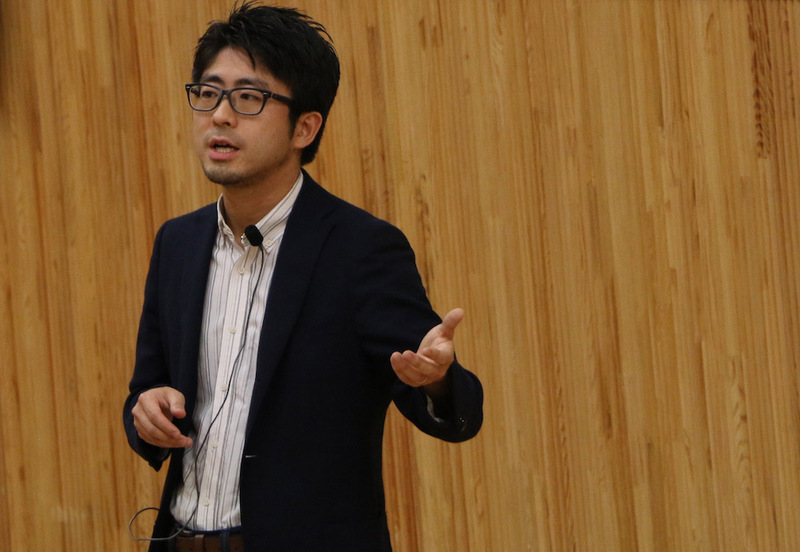 Hiroshi Miyashita, a law professor at Chuo University and an expert on privacy issues who also spoke at the Tokyo symposium, said he wasn’t surprised the Supreme Court did not strike down police monitoring of Muslims in Japan. But the lawsuit is significant for another reason, he said: It’s one of the first major court decisions in which the government actions in question were shielded by a contentious piece of legislation. That legislation, which came into force in 2014, threatens jail time for bureaucrats who leak — or journalists who seek out — information the government deems secret. Proponents say the law is designed to help tighten the government’s control over sensitive information so that Japan is better able to share intelligence with the United States, its closest ally. Critics say the definition of what constitutes a state secret is too vague, leaving room to keep broad swaths of information out of public view, and that it threatens press freedom.